Sergeant Grooms has been with the Cabarrus County Sheriff's Office since 2008 and is currently assigned as the patrol Sergeant on A Squad. Sergeant Grooms became a member of the Motor Unit in 2012. 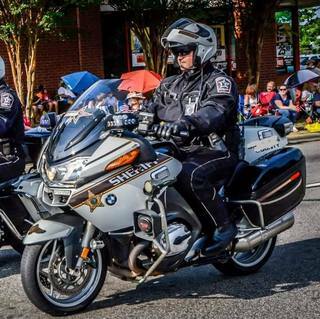 Sergeant Grooms completed the 80 hour NC State Highway Patrol Basic Police Motor Officer School in 2012. Sergeant Grooms took the Bike Safe NC Assessor's course in 2015.